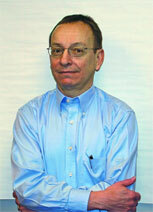 Oliver Stefani has worked on a variety of vehicles for Volkswagen, from advanced studies to the New Beetle Convertible. He did the exterior design for the forthcoming Passat CC, a car that is unlike most other Volkswagen models-but still, he insists, a Volkswagen. Funny thing. Oliver Stefani seems puzzled as to why I would find it somewhat unusual that the New Beetle-and this is in light of the fact that Stefani, who was head of Exterior Design for the Passat CC, includes the Beetle (new and previous) as one of the cars that is quintessentially Volkswagen, and Volkswagen designs, when done properly, are, in his words, "very German"-was designed by a guy from Oklahoma (J Mays) and a guy from southern California (Freeman Thomas). "People work at Volkswagen," he responds, "because they like-love-the brand. Volkswagen is special. It has a lot to do with what people think about this brand. So why not a guy from Oklahoma and a guy from southern California? They loved the brand. They knew what Volkswagen design can be, and they made a very good translation." And, arguably, Stefani's latest project, the Passat CC, a striking reinterpretation of the traditional Passat sedan, is in its own way a translation. Stefani began his career at Volkswagen in 1992, following his graduation from Art Center in Pasadena. He'd gone there having previously received a degree from a German university in product design. He has had a variety of design positions, including the opportunity to work on projects for Volkswagen companies Audi and SEAT, as well as in an advanced design studio. In 2002 he was in back Wolfsburg at the Volkswagen studio, working on production cars. "It is fascinating work, to be honest," he says. "After a long time of doing studies, to do the real car, the real product, is a totally different story. It's not a bigger challenge, but a different challenge." He explains that one of the differences is that in production design they spend time talking to engineers and finance people, lobbying for what they think a particular vehicle needs in terms of features and content, what he describes as "solutions we desperately need for the car." He adds, "You always have to convince these people that it is better for the car, better for the customers." And while it is undoubtedly a struggle in some regards, he points out, "It is very interesting to discuss problems with these people. They know that design is very strong in the sense that the customer is looking for an attractive design. If you don't have an attractive design, they won't enter the showroom." Which isn't good for the designers, engineers, or particularly for the finance people. So just what is "Volkswagen design"? "For me," Stefani says, "Volkswagen is very honest. It has some responsibility. You can trust the company." All of this begins to make it sound like a bank. Adjectives including "honest," "simple," "solid," follow as part of his description and seem to reinforce that fiduciary nature. But actually, that's not his point at all. His point is that Volkswagen design ought to be something that simply doesn't make the designers feel as though they are very clever, indeed, or that makes automotive journalists sing hosannas to the Next Big Thing. Stefani simply points out, "Too often people buy a car and it looks old too fast." Fashion is fleeting. "You can look at the Golf Mk 1, and it still looks good. * At the beginning you might say, 'It is a Volkswagen; there's nothing special about it.' But over time, it picks up speed. It takes up value over a long time." And given that customers probably don't want to have something that looks old before they've paid off the loan, this design restraint can be advantageous. What's more, having a design with longevity can help make amortizing the cost of the tooling more of a sure thing. From the point of view of actually executing Volkswagen design, Stefani says that there is "some kind of logic" involved: "Lines don't just start somewhere and end at a different place. You can find reasons for the lines." He references the Bauhaus school of design that was established in Germany in 1919 by Walter Gropius, a Modernist approach that continues today, one that eschews ornamentation for more of a rational, functional yet artistic execution of products. Done poorly, this can be rather stark and soulless. Done well, there is visual pleasure derived from what is clearly a job done simply and well, which helps account for the longevity of this school of design among practitioners in a number of fields including furniture and architecture. He uses the Passat CC, for example of the design method. "We started with the idea first of all to make a very emotional car for Volkswagen," Stefani says, admitting, "Volkswagen, in the past, wasn't known for emotional cars." Note that this isn't some dispassionate approach to the project. Next, they thought about doing a two-door coupe. But the base for the vehicle is the current (6th) generation Passat, a four-door conventional sedan, and, Stefani says, that the two-door coupe didn't work well on that platform because of the proportions. "So then we had the idea for a four-door coupe, which also fits the brand Volkswagen, because it is a functional car, as well." Certainly an echo of the Modernist ethos: "Form follows function." Yet in order to execute a four-door coupe, in order to have design cues that are redolent of a coupe (e.g., a long hood), the platform was stretched: the Passat CC is 4,796-mm long, which is 31 mm more than the conventional sedan; it is 1,856-mm wide, which is an addition of 36 mm. Of course, as a coupe, there needs to be more than length and width. Consequently, the Passat CC is 50-mm lower than the sedan, at 1,422 mm. Although it appears almost entirely different than its platform mate-especially the side profile, where the roof sweeps from front to rear in a shallow arc, from a long hood to a longer roof and backlight (part of this length is a visual trick, as the portion of the trunk lid adjacent to the rear glass is treated to appear as though it is a continuation of the glass), short deck lid, and side windows that have a narrow arc-Stefani points out that there are distinct familial cues, albeit somewhat modified for the CC: "Everything comes from the Passat-just more exaggerated." For example, he points out that in the front the radiator grille, headlamps and hood form are similar to the sedan's, "but it is not 2D, but 3D. It is like a proud chest." There was a focus on adding chrome touches to accentuate the vehicle, but in this case, rather than working toward the 3D, which sometimes comes off as being "added chrome bits," he points out that the chrome trim is integrated into the surface of the car. He says that one of the images that guided the design of the Passat CC is that of a sailboat, with long, elegant, but fully functional lines. "The car should express dynamism. Every line, every surface, is made to make this car look dynamic and elegant." Like a sailboat, they took aerodynamics into account. For example, there is a bit of a spoiler on the decklid, which he acknowledges was a result of aero analysis, "But it is nice to have something like a little kick." Still, the Modernist arises: "But we need it, of course," as it helps the vehicle achieve a coefficient of drag of 0.29. Stefani has moved on to having responsibility for the design of the Polo family. The Polo is a small car (e.g., the latest generation is 3,916-mm long, 1,650-mm wide, and 1,465-mm high) as an entryway to the Volkswagen brand in Europe (it is not available in the U.S.). Given that there is now greater interest in the U.S. in smaller vehicles, I wonder what advice he might have for designers in the U.S. faced with the small car challenge. "To do a small car and to earn money is difficult," he says. Yes, even in Europe, where the demand for smaller cars is far greater. "I think what is important for a small car," he says, "Is that it is not treated as a cheap car. It needs some character." In fact, he says, "There is always a big chance to make a strong, iconic statement in that category." Too often, it seems, designers are looking for the bigger projects to show their stuff, when the smaller vehicles may be a better venue. But there is that need to make money from the vehicle. Stefani points out, "Some things on the design don't cost much money. How you treat the surfaces isn't necessarily expensive. The proportion-the stance, the physical presence-isn't expensive." It's all about analyzing what you have to work with, and then doing it in an efficient manner. Which sounds like what Stefani does every day at Volkswagen. *The Golf Mk 1 was produced from 1974 until 1983, when the second generation vehicle was released. However, the Golf Mk 1, although extensively technologically improved, continues to be produced for sales in South Africa as an entry-level product.